Join Us in a Wisdom Search! I know, I know. The last thing you want to be doing right now is this assignment. Maybe you deserve this, or maybe it's just one big mistake. But whatever the reason you're doing this, I want to help you make the best of it. First, let me introduce myself. I'm Steve, a guy who did some time in the principal's office in middle school, for stuff like running off campus to eat lunch. My son, Andrew, a senior in high school, gets "In School Suspension" occasionally for being late for school. Both of us think that there's got to be a better solution than writing "I won't cut up in class" 10,000 times on the blackboard. Let's try something different. Someone is giving you an assignment that just might be very interesting, practical, and could help you get more of what you want out of life. If you're like me, you enjoy interesting people stories - stuff like you see in People Magazine, Biography or Lifestyles of the Rich and Famous. I like people stories because people are interesting and I can learn from their successes and failures. 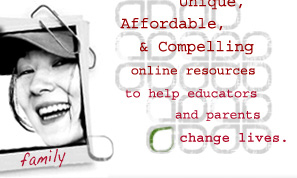 Find a computer and surf to the site www.character-education.info . Left click on "Click to Log In" on the right top of that Web page. Look at the list of character traits and choose one or more that interests you. Find ______ (number of stories assigned) people stories under "Intercom Insights" that interest you. Answer the questions at the end of each story, in writing (either typed or written). Please include the title of each people story and the person it's about. Don't worry too much about grammar and spelling. We're more interested in what you learn. Take this seriously and you might not have to do busy-work, stay after school, or do In School Suspension. Please turn in your answers to ____________ (name) in his/her office at _______________ (office location) by ___________ (date/time). Late or incomplete assignments may require additional work. Let us know if you think this is a good idea, or how we can improve it. If you find these stories interesting, feel free to return later using the same codes. For suggestions to improve this resource, e-mail webmaster@character-education.info. This resource was developed by Paula Morales, Mission Valley Middle School, Shawnee Mission, KS; and Steve Miller, President, Legacy Educational Resources. In School Suspension Alternative.